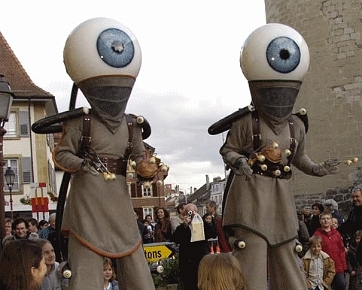 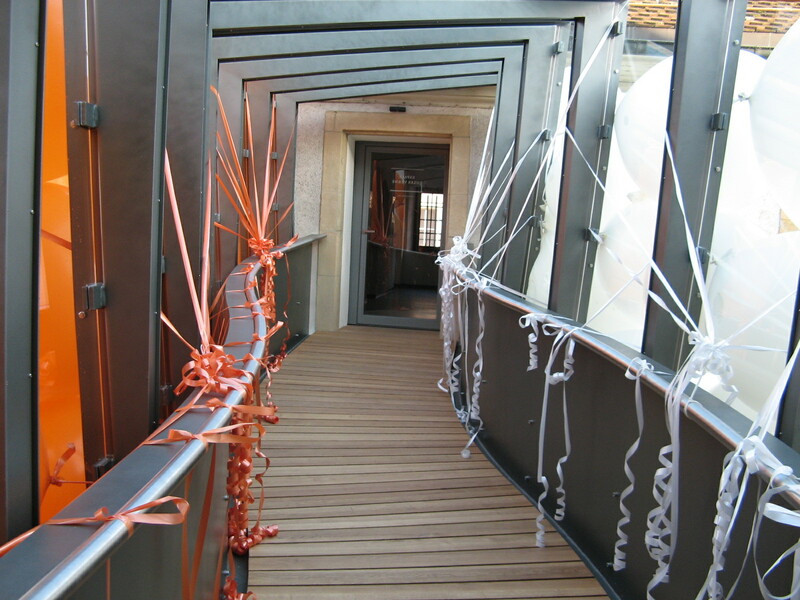 The bridge between the Jules Verne Space and the House of Elsewhere. 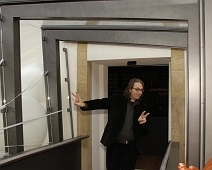 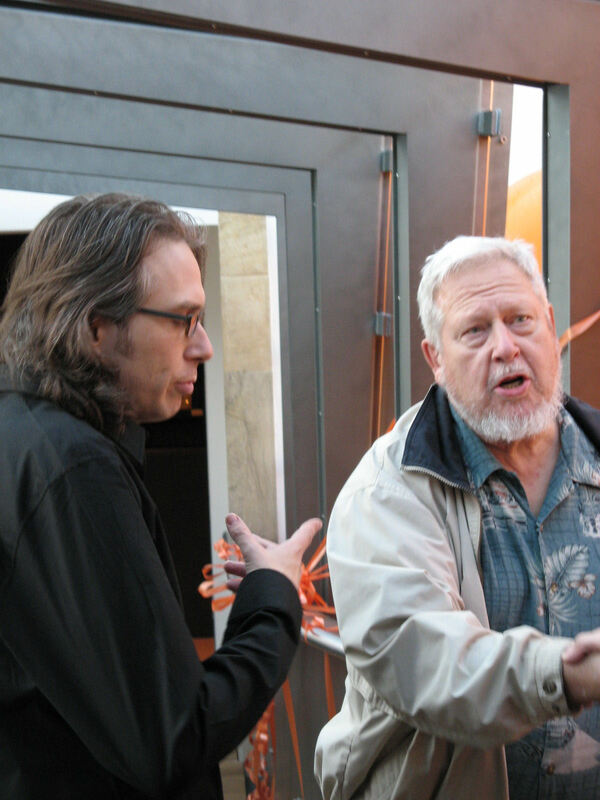 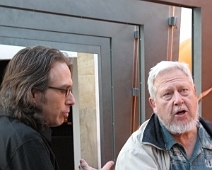 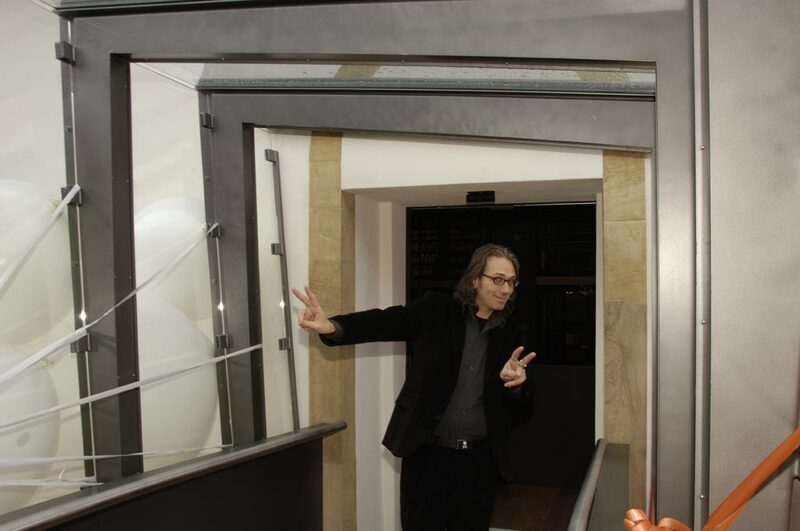 Patrick Gyger, director of the House of Elsewhere, and JMM on the bridge. 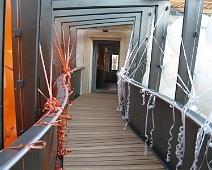 The bridge ready for the opening. 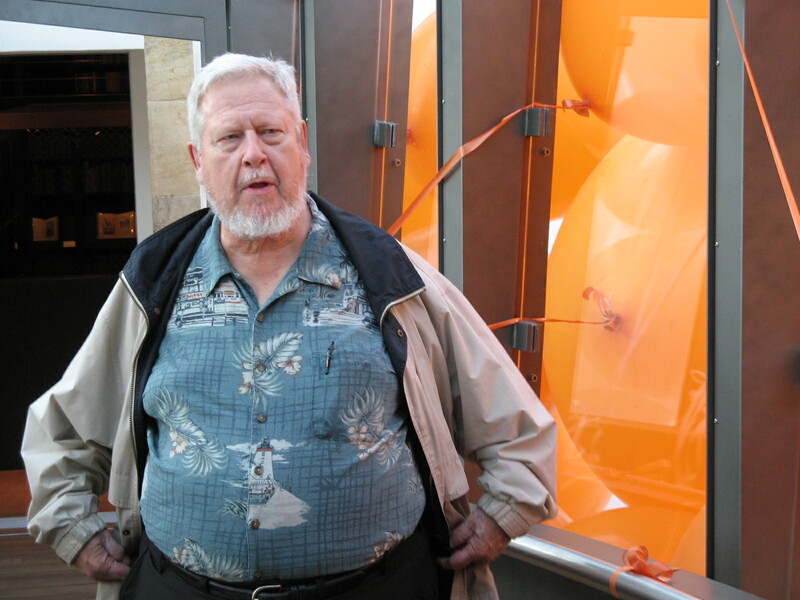 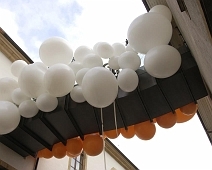 Balloons will be used to uncover the bridge at the opening. 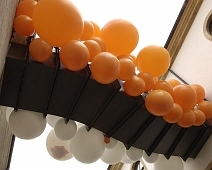 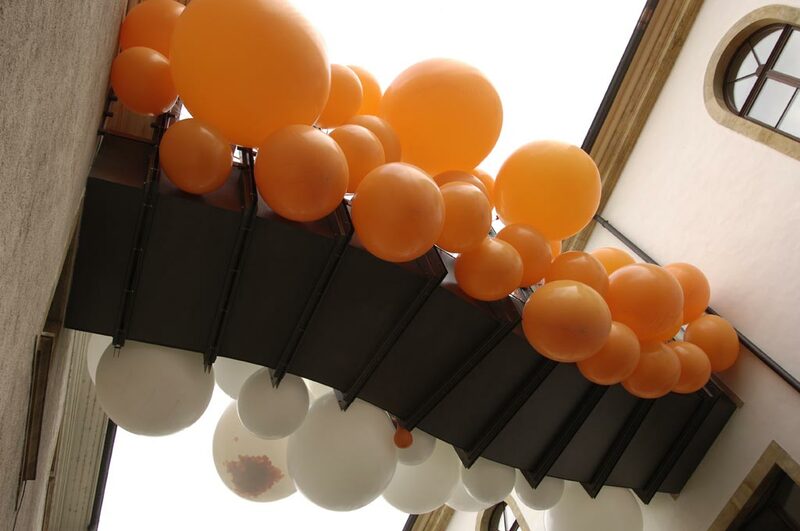 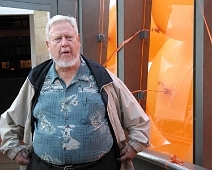 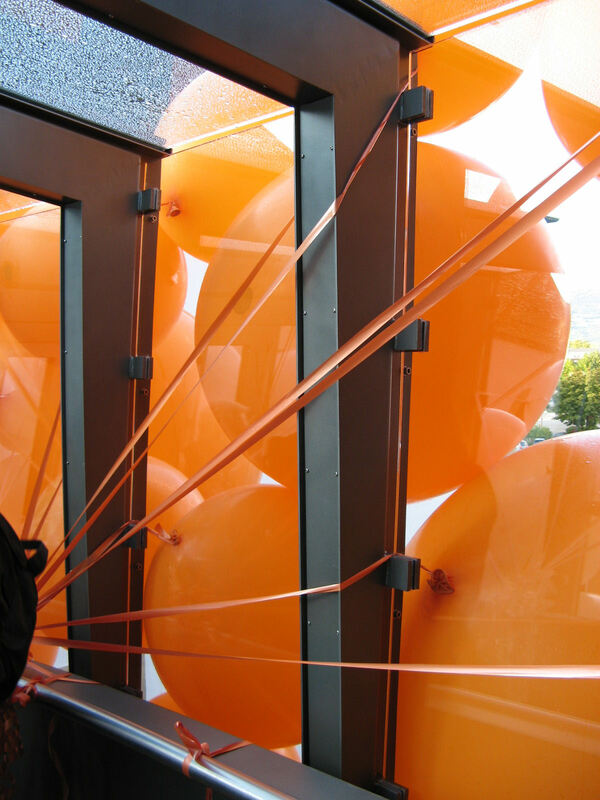 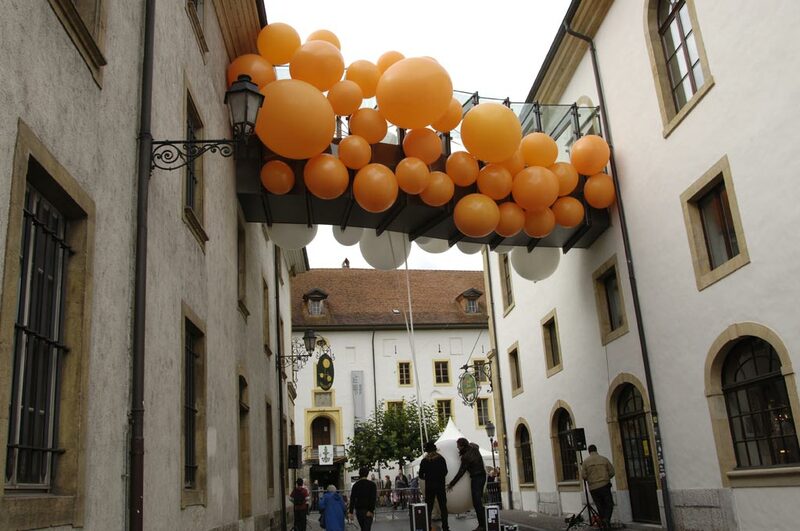 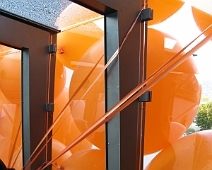 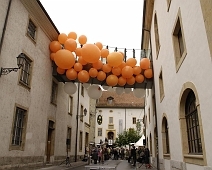 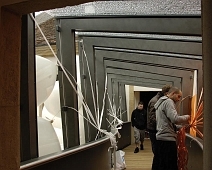 One side of the bridge with orange balloons viewed from the street (House of Elsewhere on the left, JV Space on the right). 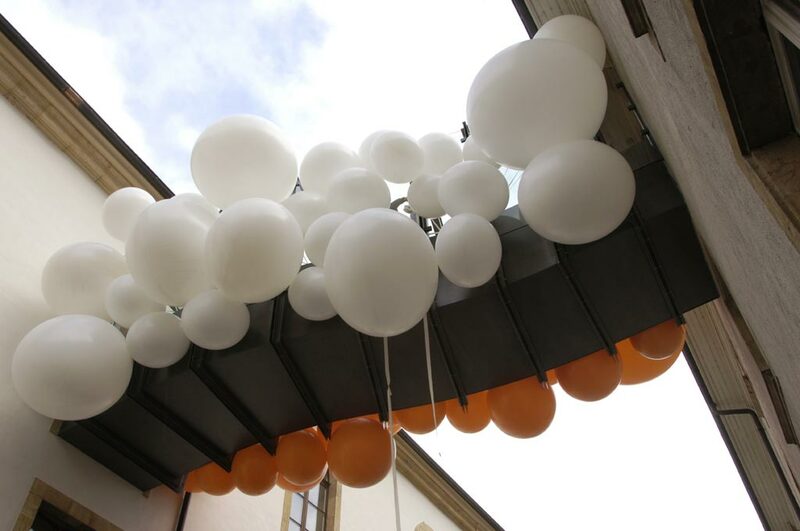 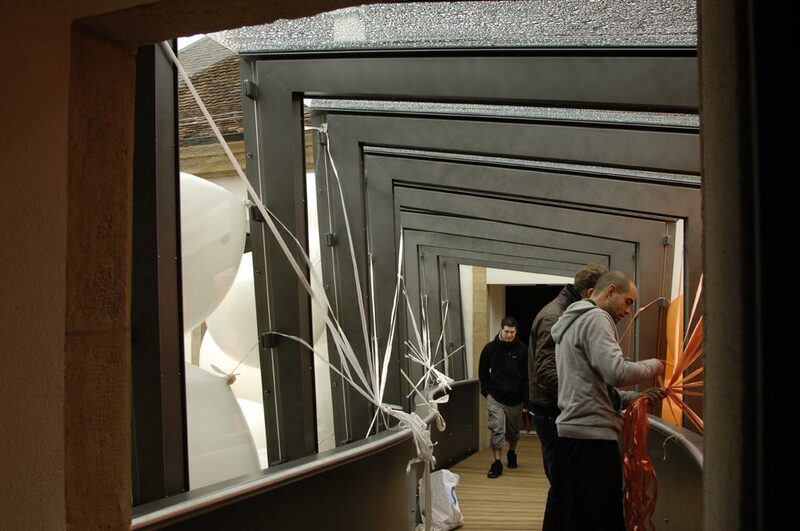 The other side of the bridge with white balloons viewed from the street (House of Elsewhere on the left, JV Space on the right). 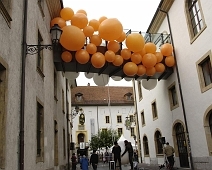 The bridge covered by balloons. 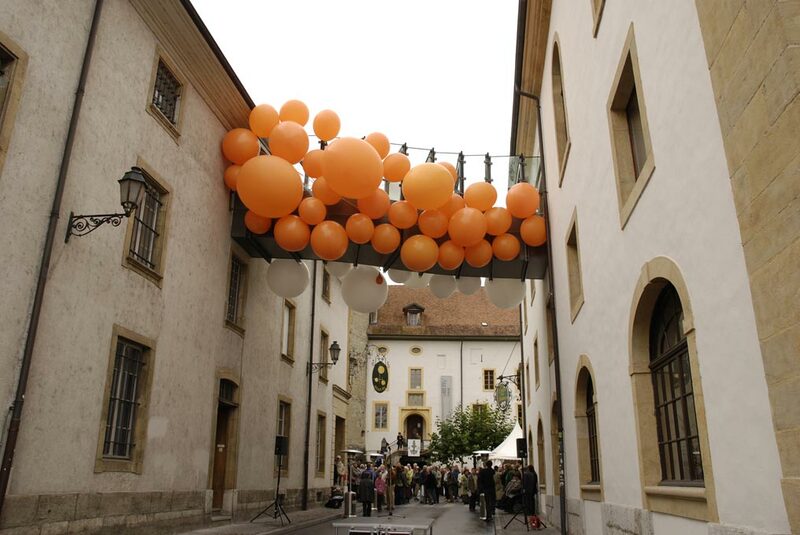 2000 people (Yverdon-les-Bains has 20,000 inhabitants) gathered to open the JV Space (accessible only through the bridge).